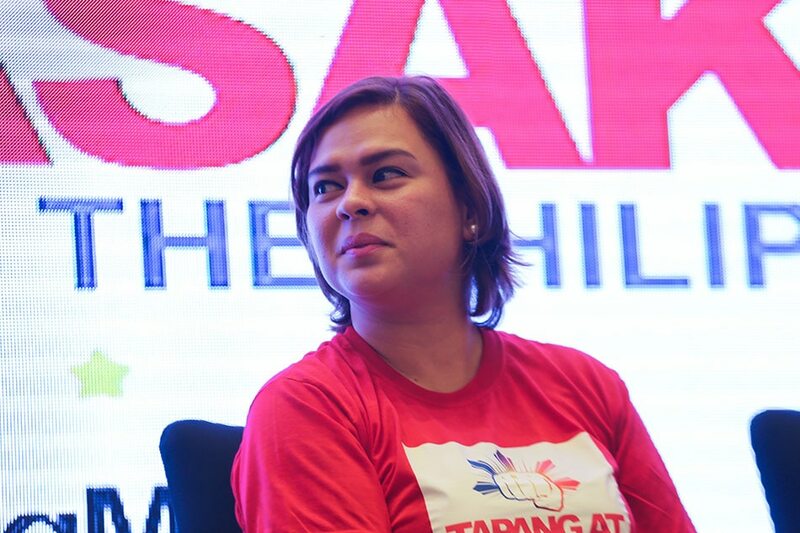 DAVAO CITY - Davao City Mayor Sara Duterte-Carpio said Monday she was taking a break from her duties as mayor to campaign for senatorial candidates endorsed by her regional party, Hugpong ng Pagbabago. "Nag-file mi og leave on the days nga nagakampanya for senators and for the days nga mag-campaign mi for locals tanan kauban namo are volunteers," Duterte-Carpio said. Duterte-Carpio said another city official would also take a leave from work alongside her. She, however, did not specify how long will her leave take. While on leave, Davao City Vice Mayor Bernard Al-ag would take charge of the city. On Tuesday morning, the Hugpong ng Pagbabago will kick off its election campaign at San Fernando, Pampanga.